So you want to learn how to throw a fastball, the “heater”. That’s what a fastball is called, throwing the high heat. For most pitchers the fastball is their “go to” pitch. If they need to throw a strike, then it is probably going to be a fastball. 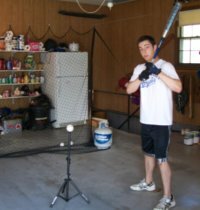 How to throw a fastball can actually have more then one answer. There are different types of fastballs. The two most popular are the four seam fastball and the two seam fastball. Some of the other different fastballs are the cut fastball and the split finger fastball. 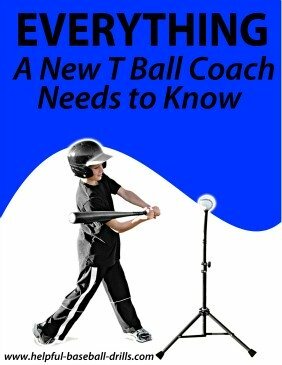 Those last two pitches are difficult to learn and have been known to be hard on a pitching arm. For those reasons, we are only going to talk about the four and two seam pitches. When most people think or talk about fastballs, they are actually talking about the four seam fastball. It is the pitch that is nicknamed the “heat’, “rocket fire” or “powder river”. As you can see in the picture, you hold the baseball with your index and middle fingers. Those two fingers, you can use three if your hand is small, cross the seams twice. They go across what is called the horseshoe area of a baseball. Your thumb then goes underneath the baseball, in the middle of the top two fingers. At that location there is no seam for the thumb to cross. 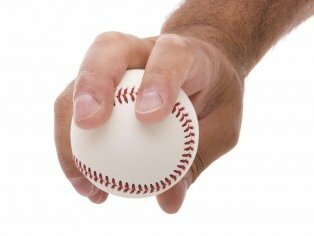 Throwing a fastball usually means this pitching grip. So what is the record for the fastest fastball ever thrown? Well, they don’t keep records for the fastest ever thrown. The radar gun hasn’t been around that long, so they don’t know how hard the old-timers threw. And different radar guns record different speeds. Aroldis Chapman, of the Cincinnati Reds, was clocked at throwing a fastball 105.1 mph, back in 2010. Most people agree this is the fastest recorded fastball. Maybe after you learn how to throw a fastball you will be the one to break this record. The other popular fastball is the two seam fastball. By changing your grip to the one in this picture, you are now throwing the two seamer. On the baseball find the spot where the seams are the closest together. Place your index finger on one seam and your middle finger on the other. Again, if your hands are small, then go ahead and use three fingers. The thumb is placed underneath again, and should be crossing a seam. The two seamer will not be as fast as the four seam fastball. But, because of this grip, your two seam pitch may have movement. The grip, arm speed and middle finger downward pressure on release should make this pitch drop. It will take some practice to make this happen. But if can get the two seam fastball to drop, then you learned a great pitch. So far I have talked about the pitching grips for the four seam and two seam fastball. Now, I will tell you how to throw a fastball. When throwing either the four seam or two seam fastball, do not hold the baseball in the palm of your hand. You should be gently holding the baseball with your index and middle fingers. 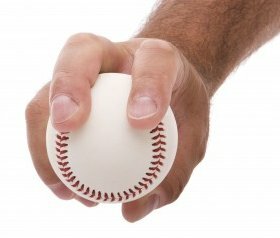 Holding the baseball tightly will cause tension in your arm and not allow a fluid delivery. This will hurt the velocity of the ball. So hold the ball firm, but not overly tight. 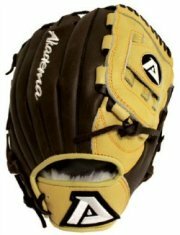 Upon release of the pitch, you want all the pressure from your hand going through the two fingers on the ball. This will help create the fastest velocity possible from your arm. And that is how to throw a fastball. In other pitching articles we talk about how to get your legs to increase the speed of your pitch. But right now just focus on the grip and release. You want to have this step down before bringing the lower half of your body into the pitch. These two pitches, the four seam and two seam fastballs, along with a good change up, will carry you far in the pitching world. Whenever you throw a practice bullpen session, work the most on the four seam fastball. You want that to be your “go to” pitch.